By default, an email icon is shown next to the names of staff members. This icon allows a visitor to send an email message to that staff member, without revealing the staff member's email address. However, it is possible for administrators to turn this feature off. Log into the respective School Site. 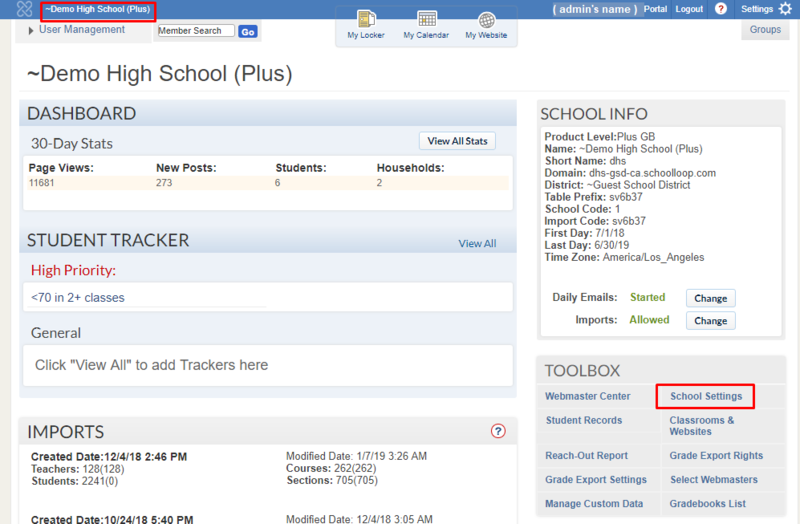 Click School Settings in the Toolbox section. The link appearance and location may vary. 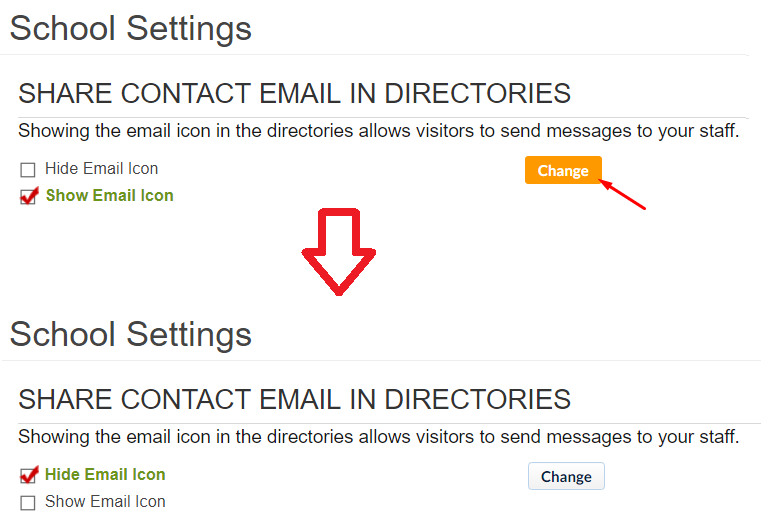 For those using Standard, in the Share Contact Email In Directories section, click Change to toggle the setting for the email icon in directories. The red check mark will toggle from Show Email Icon to Hide Email Icon. For those using Plus, click Go in the Access & Registration Management section and proceed to Step 4. 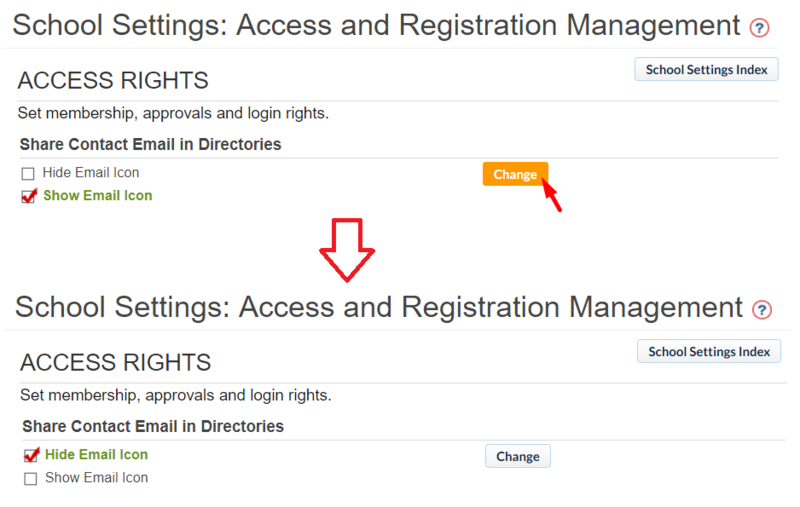 In the Access Rights section, click Change to toggle the setting for the email icon in directories. The red check mark will toggle from Show Email Icon to Hide Email Icon. If the procedure was carried out correctly, the email icons next to the names of the staff members will no longer be visible.